A standard appointment time is for a ten minute duration. If you have more than one condition or think you will need longer please tell us when booking. If the doctor you normally see is not available you may be seen by one of the other doctors. The message will be passed to your doctor or a nurse and the target time to respond in 2 hours or less. Online via the link at the top of this page. To use the online booking service you will need to call into the surgery with proof of identity and address to be given login details. For reasons of confidentiality patients can only access their own details so each family member needs their own personal login details. The "Sit & Wait" service in the morning we run a clinic between 9:30 - 11:30, Monday to Friday. There is also an afternoon clinic on from 14:30 - 16:30. No appointment is necessary. Just come on down. On arrival check in with reception. They will give you an approximate time. Then "Sit & Wait" to be called. This is a new service and we are still tryng to perfect the arrangements, so be patient with us. Please do not arrive before the start time as the list will not be open. The wait time for an appointment is generally under 45 minutes, however it can on occaisions be over 1 hour. Notices will be displayed advising you of the wait time. Please note that where they is high demand we may have to close the clinic early so that the doctors can deal with the waiting patients without undue delays. Patients in the "Sit & Wait" will be seen either by a doctor or a nurse practitioner. The nurses are highly trained with 20 years experience. They can deal with most issues. Where they think it necessary they will bring a GP into the consultation. We are also running the normal appointment system at the same time and we need space in the waiting room for these patients. Please do not arrive before the clinics as we cannot accommodate large numbers of people. People who are waiting for the clinic to start will be asked to come back later. If you cannot keep an appointment or it is no longer required please inform the surgery as soon as possible. Such appointments can be reallocated and it saves valuable time. 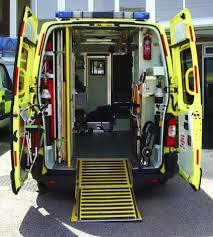 The practice offers a service to patients where we will conduct medicals for HGV, taxi license, pilot license etc. Please ask for details if you require this service. There is a charge for these appointments that has to be paid for at the time of booking. The fee is non-refundable if a patient fails to attend. We ask for at least 24 hours notice if you wish to move the appointment or cancel. responsible for all the home visiting requests. 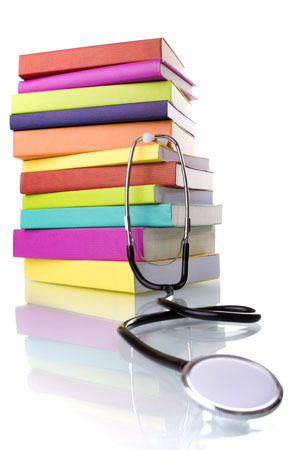 We occasionally have medical, nursing or administrative students within the practice. You will always be asked for your permission before they are present during any consultation. We have monthly in-house training sessions for members of the Practice Team. This is available for certain patients who are disabled or have other medical needs. The surgery is no longer involved with arranging transport. If you feel you're eligible and attend the Luton and Dunstable Hospital, telephone the Transport Booking Office on 01603 481 208 one week before your appointment. Their office is open 08:00 to 18:00 7 days a week. For other hospitals - the clinic you attend will provide information. If you wish to have a chaperone present during your appointment please let reception know when you book or upon arrival, or speak to the doctor or nurse at the start of your consultation. If you request a chaperone and a suitably qualified person is unavailable at the time we will reschedule your appointment with the least possible delay. At times the clinician may offer you a chaperone but you have the right to decline.